Rental payments made by mobile phone companies to landowners to house masts are being threatened by new agreements made between the phone companies. T-Mobile and H3G have agreed to share each other’s infrastructure, which will result in a major cost saving for their balance sheets, without having to pay anything extra to their landlords. Some sites previously rented by T Mobile and H3G have already been decommissioned leaving landlords out of pocket. The two operators have identified about 18,500 optimal sites and approximately 5,500 sites will be disposed of. 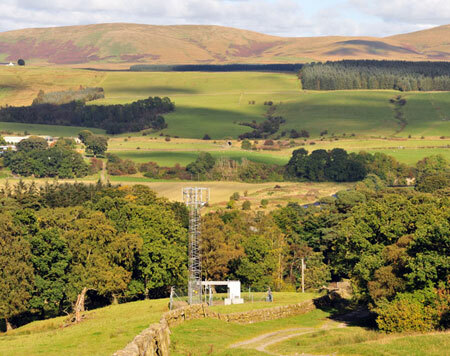 For landlords or farmers who currently host an H3G or T-Mobile mast this means they should now be checking the terms of their agreement with operators who currently pay them rent. In the majority of cases, the operator does not have the right to assign or share sites but research by Smiths Gore suggests that one-off payments are being offered to landlords in return for agreement to assign. Some leases will need to be surrendered and renewed and others may also require variation. In all cases, however, landlords can expect the costs of reasonable professional fees to be met by the operator. There have been several instances where refusing to consent to an assignment has been deemed to be unreasonable on the part of the landlord which can result in having the site decommissioned with the operator moving to an alternative site. Rural property advisers Smiths Gore recommend that anyone facing a lease renewal should take up the opportunity to include network consolidation within the terms of the lease agreement, if it doesn’t already do so. On occasion, one-off payment incentives of between £1,000 and £4,500 have been offered, though through negotiation, this can be increase to as much as £15,000, subject to circumstances.